Hello everyone! Hopefully no one missed Monday’s post too much. In case I break schedule again check my twitter for details on where I’ve gone off too. I decided that Monday would best be used for graduate school essay writing and spent all day doing that. Which turned out quite well because I finished both my personal history and goal statement! So there’s a bit of stress off my shoulders – now I just need to take that pesky CBest. Before any of that though, I must address this very very exciting news. 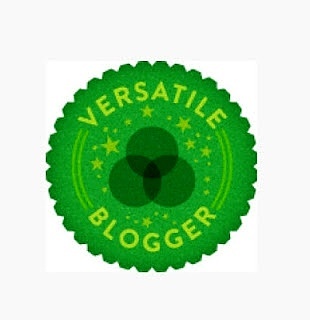 I have been nominated for the Versatile Blogger Award by Passionate Mom Honey Bee! So of course I have to start this by giving a huge shout-out to Honey Bee for the nomination! It was so sweet of you to nominate me and it is such a lovely feeling to know that someone out there is enjoying my blog. So thank you so, so much! Anyone who enjoys exotic recipes and mouth watering pictures of food should definitely take a peek at her blog. My personal favorite posts are her baking recipes and one day I’m determined to gain the courage to try out her Zebra Bundt Cake – which is seriously one of the most beautiful cakes I’ve ever seen. So yes, go check out her blog and then come back for the rest of the award post! 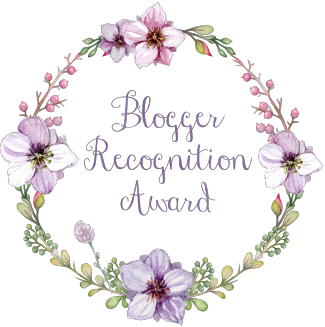 an award to celebrate the bloggers who bring the most joy to your life – the blogs I’ve nominated are filled with awesome crafts, witty humor, gorgeous pictures, scrumptious sounding recipes, gripping stories, and overall incredibly written posts that keep me coming back to them day after day! 1. Despite considering myself Midwestern, I was actually born in New Jersey and moved to Ohio with my family when I was three. 2. My favorite food is Macaroni and Cheese with muenster and spaghetti sauce added in. 3. When I was two my dad asked me what I was going to be when I grew up to which I answered “Barbie!” Lofty goals – even then I knew one career path just wouldn’t be enough for me hahaha. 4. I am a huge Nintendo fangirl – some of my favorite series are Animal Crossing, Pokemon, Tales, and Zelda. 5. Ever since I could find sorting quizzes online I have been sorted into Hogwart’s Slytherin House. 6. I have been dating the most wonderful man in the entire world for the past eight years. Eric is the most supportive boyfriend to me and I’m so thankful to have him in my life. 7. Seven is my favorite number because of my birthday July, 7th. I hope you enjoyed the post and have a lovely day! Congratulations on this fantastic award, and thank you SO very much for the nomination! I really appreciate it! It’s funny, I was prepping another award last night for today, and your blog is on the list of nominees! I plan to post after dinner, and will notify you when it’s ready. Thank you again, and congratulations! Awww, thank you! You do too! You’re awesome! Thanks Tricia! And congratulations to you too!! I love that you wanted to be Barbie! You’re awesome! Glad you enjoy them!! My apologies for the late response. I was travelling for 3 weeks.